Synopsis : This new docu-series will follow actress and singer Ashlee Simpson-Ross and her husband actor and artist Evan Ross. We’ll get an inside look into this young millennial couple as they try to balance life as new parents with a solid foundation of humor and love. Coming from two famous music families, Ashlee and Evan will take viewers inside the recording of their first duet album. Fans will see Evan’s rising star in music and Ashlee cautiously jumping back into the music world. We will watch as they face challenges and success in their marriage and music while receiving the unwavering support from their legendary families and life-long friends. Premiere : September 9th, 2018 on E! Producers and Executive Producers : Citizen Jones and Cinema Giants with Jonah Bekhor, Jonas Bell Pasht, Jessy Terrero, Angela Aguilera, Ashlee Simpson-Ross and Evan Ross. Find all the trailers/sneak peeks of every episodes here. Storyline : After 10 years of being a stay-at-home mom, Ashlee is itching to get back to work, while Evan, just back from filming “Star,” is faced with a new movie opportunity that would take him away from home again. With friends and family celebrating Evan’s return and a trip to his hometown of Greenwich, CT, Ashlee is left feeling frustrated. ♪ Song released during the episode : ‘I Do‘ (buy/listen it here). Airing on : September 9th, 2018 on E! •• Watch it here •• Download it on iTunes. • My Opinion : I simply loved it. Ashlee and Evan were amazing, very natural. I think it’s so great to know them like that and know their friends too. All the people in this show are amazing. 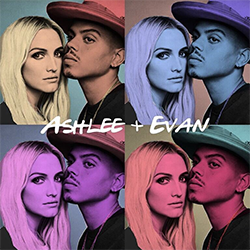 Seeing Ashlee and Evan working together on their album is really interesting. I was very emotional to see Ashlee back on TV and doing music. Everyone should watch this first episode. I cried when Diana Ross listened to Ashlee and Evan’s first song. It was a really beautiful moment. Once again, it was above my expectations. I am very proud of them and I can’t wait for the next episodes. I am so sad there are only 6 of them haha. Storyline : Ashlee doesn’t respond well when Evan tries to rush her as she knows what one mistake can do to a career; Evan seeks advice from his father-in-law, Papa Joe, after going head-to-head with Ashlee about releasing an unfinished song; and Ashlee springs into best-friend mode after a self-defense class takes a left turn. ♪ Song released during the episode : ‘Paris‘ (buy/listen it here). • My Opinion : I loved this second episode. We learn more about Ashlee and her friends and how much Ashlee can be perfectionist and I love this about her. She wants to be back but in a good way. The episode 2 featured the song ‘Paris’ and it’s an amazing one. Plus, one of her friends opens up about her difficult past and this is very touching. I love their family and friends. This second episode confirmed the first : this show is my favorite now! Storyline : Evan is forced to relive the memory of his father’s death when Ross asks him to join him rock climbing. In an effort to cheer up her husband, Ashlee and the girls brave an authentic fish market in an attempt to prepare Evan’s favorite cuisine: live seafood. ♪ Song featured during the episode : ‘Be Strong‘ – not released yet but they released ‘Safe Zone‘ (buy/listen it here). • My Opinion : This episode was very emotional and touching. I really loved to learn more about Evan and his struggles about his father’s death. My heart was so broken for him and his family. Ashlee made me cry too talking about her father’s cancer and supporting Evan the best she can. They both are incredible human beings. The song ‘Be Strong’ dedicated to Evan’s father was really beautiful and moving. They are very brave to share all of this with us. This show is really great. Airing on : September 23rd, 2018 on E! Storyline : When a family trip to Palm Springs is interrupted by a surprise visit from friends, Ashlee and Evan struggle to get on the same page when it comes to family time vs. friends and family time. ♪ Song featured during the episode : ‘Tonic‘ (buy/listen it here). Airing on : September 30rd, 2018 on E! • My Opinion : Once again, I loved this episode. It was so nice to see Ashlee, Evan and Jagger taking some time for them without their friends even if they went to the trip after all haha. I was so glad to rediscover Ashlee’s personality. I am happy to see her knowing what she really wants and that she also needs some time for herself. I see myself through her. I also loved to see them a little more in the studio working on their song ‘Tonic’ which is amazing. Storyline : Ashlee’s mom-guilt hits an all-time high when career obligations start to interfere with her home life, forcing Evan and Jaz to play Mr. Moms; Ashlee gets fed up with Evan’s habit of leaving lids off everything from the toothpaste to the almond milk. ♪ Song featured during the episode : ‘I Want You‘(buy/listen it here). Airing on : October 7th, 2018 on E! • My Opinion : This episode was really interesting. I loved seeing Evan with Bronx and Jagger while Ashlee was focusing herself on her career. We saw how it’s difficult to her to left her kids while she works. She is an amazing artist, woman, wife and mom. The couple is always so funny. It was also amazing to see Ashlee’s mom more with her great advice! Really liked that episode, this show is wonderful. Storyline : Ashlee and Evan are ready to share their music with the world and perform together for the first time, marking Ashlee’s first live performance in 10 years. Airing on : October 14th, 2018 on E! • My Opinion : My favorite episode! I laughed, smiled, cried a lot. These two people are so incredible. I was so happy to see Ashlee back on stage again after ten years and how she struggles with pressure. We have been able to see the sweetest moment of the whole show : Bronx and Jagger going to the rehearsal and singing with their mom, it was beautiful. I loved seeing Ashlee talking to these girls at the dance studio about her past as a ballerina. She made me cry. Ashlee and Evan did such a great job with their show at the Warwick. The end moves me so much. I will miss them for sure, this show is my favorite with my favorite people in the world. Thank you Ashlee and Evan for these perfect six episodes and songs. So proud of them!